When you donate to SGHT, you know that every penny will be used to bring benefit to South Georgia. We appreciate and individually acknowledge each donation to SGHT. 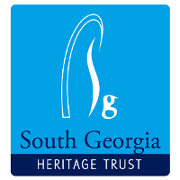 SGHT is a small charity but we are making a big difference to the future of South Georgia’s wildlife and heritage. Option 5. Visit our Guardians of South Georgia page and consider joining this special group of supporters or visit our Protect a Hectare page. 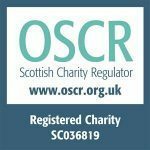 If you are a UK tax payer please consider gift aiding your donation – see our Gift Aid page for more information. There are also links on certain donation options below to email us with Gift Aid instructions. US donors – make a tax deductible donation for South Georgia via our sister organisation in Colorado USA, Friends of South Georgia Island (www.fosgi.org). Option 1. Donate to SGHT using the Paypal button below. All donations made this way will automatically qualify for Gift Aid if you are resident in the UK. Donate via our donation form and receive a personal certificate confirming that you have supported conservation work to Protect a Hectare or more of South Georgia. Option 5. Visit our Guardians of South Georgia page and consider joining this special group of supporters! OR visit our Protect a Hectare page. US donors – make a tax deductible donation for South Georgia via our sister organisation in Colorado USA. FOSGI was awarded 501(c)3 status in December 2011.